I have been guilty of every one of these crimes of beauty at some point or another in my lifetime. You live and you learn. Makeup is supposed to be fun and it's 100% ok to have trial and error. 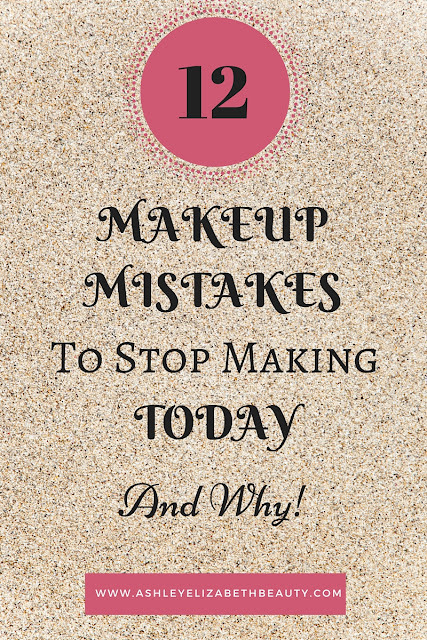 Here are 12 steps to make sure you have got the healthy makeup basics down! I put this as the very first mistake not to make for a good reason. You cannot have good makeup without good skin care. After washing your face apply a hydrating moisturizer and eye cream. My most trusted favorites have been Clinique Dramatically Different Moisturizing Cream for my face and Clinique Moisture Surge for my under eye area. Just don't do it. It may seem like a great way to get the most volume out of your mascara, but you will damage your lashes in no time. Curl your clean and dry lashes and then apply mascara. If you are looking for extra volume and length try a set of falsies. My go-to false lashes for daily use are the #307 quarter length lashes from Morphe Brushes. They are easy to apply and so light weight that I always forget I am wearing them. Great makeup often requires great brushes. Use professional makeup brushes, compare them with drugstore brushes, and you will see an amazing difference in how your makeup turns out. However, there is no need to break the bank! My favorite makeup brushes are from Real Techniques and can be found at Ulta. They are reasonably priced and will allow you to apply makeup like a pro! More makeup is not necessarily always better. Sure, Malificent's cheek bones were to die for, but it's not a great every day look. Contouring has the ability to make your face look thinner, but you are going to want to create soft shadows with a cool tone shade for your daytime look. Check out my latest tutorial, Classic Holiday Vintage Makeup Tutorial, for an example on how to achieve soft, blended contours. Every woman has been faced with this dilemma. You are exhausted by the end of the day, the struggle is real, and just want to fall face first onto your pillow. Or, you've just started dating someone new, and are still self conscious about them seeing your bare makeup-free face. However, falling asleep with makeup on is never a good idea. Your pores need to breathe, and failure to allow for this will cause you more skin problems than you really need. If possible, make taking off your makeup one of the first things you do when you get home. Throw on some sweats, tie your hair back, and take it all off! Making it feel like a treat instead of a chore is the key. Splurge on your favorite makeup removing wipes (mine are from Pond's) and a gentle facial cleanser, like Soy Fresh Face Cleaner, that leaves your skin feeling amazing and refreshed. Setting your makeup will not only make it last longer throughout the day, but it will also prevent creasing and sliding, and help with any oily skin issues. It is best practice to set concealer wherever you are placing it on your face. During the work week I love to use NYX HD Finishing Powder in Banana. It is velvety soft, a great yellow neutral tone, and your makeup will not budge. Applying your concealer wrong will drag down your face, make you look more tired, and actually emphasize the things you are trying to conceal. If you are applying concealer beneath your eyes, do so in a sideways "V" shape, starting larger at the eye, taking it down to the edge of the nose, and then back up at a ninety degree angle to your temple. This will make your face appear slimmer and your makeup more streamlined. You can also apply concealer in the middle of the forehead, down the bridge of the nose, and on your chin. Rule of thumb is to use a concealer that is two shades lighter than your foundation. Your face naturally has lighter and darker areas due to shadows, and trying to make everything one color will look unnatural. No matter what make sure you apply a concealer and foundation with the same undertone, such as yellow, golden, pink, or neutral. This will help them to blend and match. Makeup brushes can be breeding grounds for bacteria if they are not cleaned properly or often. Have you noticed your face breaking out recently for no apparent reason? It could be that you've waited too long in between cleanings. At a maximum clean your brushes after every use, and at a minimum clean them once per week. Shampoos, sprays and balms are available for what best suits your needs, but I usually just use Johnson's Baby Shampoo. If your brushes are extremely dirty and well beyond cleaning, throw them out and get a new set. Apply a good base after your skincare routine and before you apply foundation to have makeup that will truly last all day. Also, primer will help erase fine lines and pores and make your makeup look and feel smoother. My favorite drugstore primer is NYX Angel Veil Skin Perfecting Primer, but you should find a primer that fits your skin type the best. I once heard a quote from Sonia Kashuk that went something like "Foundation is like Spanx; no one should know you're wearing it!" Your foundation should look natural and not like there is a mask on your face. Match your foundation to the front of your wrist for the most accurate shade. I have been self-tanning my body for years (never my face) and this has been my foolproof method for choosing foundation to match my body's self-tan shade to my non-tan face. Price does not necessarily determine quality. Trust me, I have learned the hard way on this. Don't think that you have to spend a lot of money in order to purchase a good product. 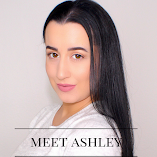 Some of my most loved brands are low cost because they have better quality than their high-end comparables, including Morphe Brushes, ColourPop, BH Cosmetics, and Makeup Geek.